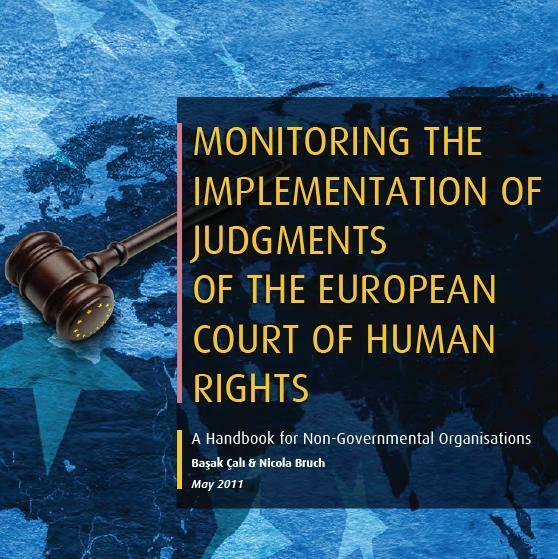 Translated editions of the handbook 'Monitoring the Implementation of the Judgments of the European Court of Human Rights' are now available online in German, Croatian and Turkish. The book, written by Basah Cali and Nicola Bruch of University College London, is meant for practitioners "finding the execution process in Strasbourg difficult to understand and follow." 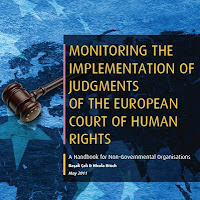 In a very accessible way, this small online book informs the reader with practical information about how implementation works and what role NGOs can play in monitoring the aftermath of judgments. * A. Wiesbrock, 'The right to family reunification of third-country nationals under EU law: is Directive 2003/86/EC in compliance with the ECHR? ', Human Rights & International Legal Discourse, vol. 5, no. 2 (2011) pp. 138-165. * C. O’Mahony, 'Irreconcilable differences? Article 8 ECHR and Irish law on non-traditional families', International Journal of Law, Policy and the Family, vol. 26, no. 1 (2012) pp. 31-61. * Nicolas Beger, 'A proposal to restrict human rights'. The applicants in the case were 11 Somalians and 13 Eritreans who had been intercepted by the Italian coastguard in May 2009 when trying to cross the Mediterranean. They were brought to Tripoli in Libya and handed over to the Libyan authorities under an Italo-Libyan agreement. Their identities were not checked during their time on board of the Italian vessels. First, the Grand Chamber had to decide whether the applicants fell within Italy's jurisdiction (Article 1 ECHR). Italy denied that by taking them on board it had excercised "absolute and exclusive control" over the applicants. Rather, it argued that it had been obliged under the UN Convention on the Law of the Sea to save human lives on the high seas. This in itself, in Italy's view, did not create a jurisdictional link between Italy and the rescued. The Grand Chamber disagreed. Firt, it confirmed that under the law of the sea, and under Italian law for that matter, a ship on the high seas is under the exclusive jurisdiction of the flag state. Secondly, states cannot avoid being held responsible under the ECHR by framing an act as a rescue operation under the law of the sea. Thirdly, the events took place on vessels of Italy's armed forces manned by a crew of Italian military personnel. The applicants were thus under continuous and exclusive de jure and de facto control of Italy. Thus, they fell within the jurisdiction of that state for the whole period that they found themselves on those Italian vesssels. 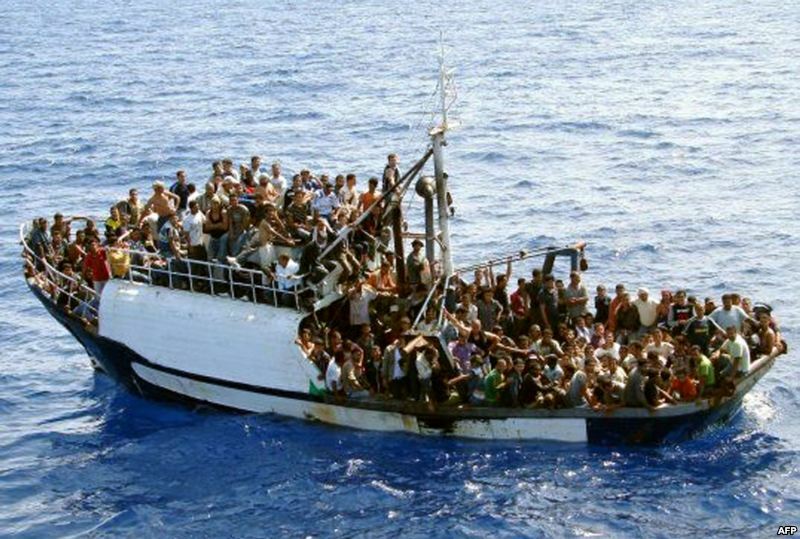 One could say here, that a causal legal chain of events starts to operate once a ship operated by a state party's authorities catch sight of a group of people in danger at sea: the law of the sea requires to save them and as a result these people are brought within the jurisdiction of that state under the ECHR. Put differently, any state attempt to push back irregular migration at sea rather than on land does not absolve a state from its human rights responsibilities. The Court has already found that, according to the established case-law of the Commission and of the Court, the purpose of Article 4 of Protocol No. 4 is to prevent States being able to remove certain aliens without examining their personal circumstances and, consequently, without enabling them to put forward their arguments against the measure taken by the relevant authority. If, therefore, Article 4 of Protocol No. 4 were to apply only to collective expulsions from the national territory of the States Parties to the Convention, a significant component of contemporary migratory patterns would not fall within the ambit of that provision, notwithstanding the fact that the conduct it is intended to prohibit can occur outside national territory and in particular, as in the instant case, on the high seas. Article 4 would thus be ineffective in practice with regard to such situations, which, however, are on the increase. 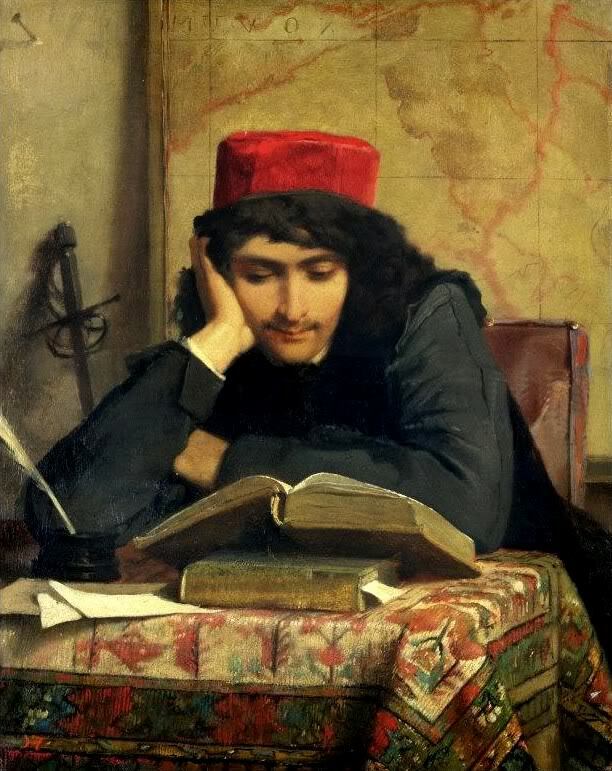 The consequence of that would be that migrants having taken to the sea, often risking their lives, and not having managed to reach the borders of a State, would not be entitled to an examination of their personal circumstances before being expelled, unlike those travelling by land. Finally, the Court found a violation of the right to an effective remedy (Article 13 ECHR) in conjunction with the aforementioned articles. The applicants had had no access to any procedure. There were no legal advisers or interpreters on board nor were they given informatino in general about what was going to happen. A very important judgment, upholding the absolute nature of the non-refoulement princile in the face of new ways of controlling migration flows by European states. Literally pushing back the problem further from a state's territory does not change that state's human rights obligations. This workshop seeks submissions which assess the relations between the European Union and the European Convention of Human Rights. It aims to stimulate a debate on both the successes and challenges of the EU-ECHR relationship. The workshop is aimed at young as well as established scholars with an interest in human rights law and policy. 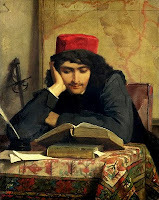 · Legitimacy of ‘European’ human rights adjudication. Applicants are asked to submit an abstract of no more than 400 words on their proposed papers. We are delighted to announce that selected papers will be published (subject to editorial review) in a special edition of the Surrey Law Working Paper Series. The deadline for submission of abstracts is Friday, 30 March 2012. Successful applicants shall be notified no later than 10 days of this date. 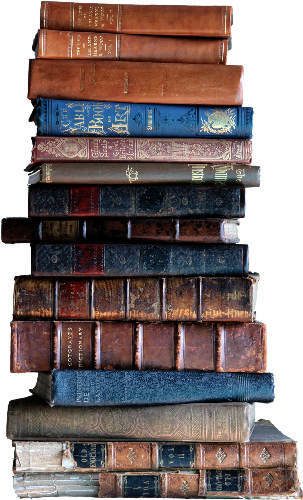 The full-text papers are expected to be submitted no later than 15 May 2012. Dean Spielmann, Judge of the European Court of Human Rights and President of Section V of the Court will deliver the keynote address on 8 June 2012. We are happy to be in a position to award two scholarships of £250 each to participants who would otherwise not be able to attend the workshop. If you wish to be considered for a scholarship, please indicate this on your proposal and provide us with the reasons why you consider yourself eligible. Otherwise, we regret that we are generally not in a position to offer financial support for travel to the conference or for accommodation. Abstracts should be submitted to: t.lock at surrey.ac.uk (Dr Tobias Lock). This article takes its title from Lord Rodger's oft cited dictum in Secretary of State for the Home Department v AF (No 3): ‘Argentoratum locutum: iudicium finitum – Strasbourg has spoken, the case is closed’. 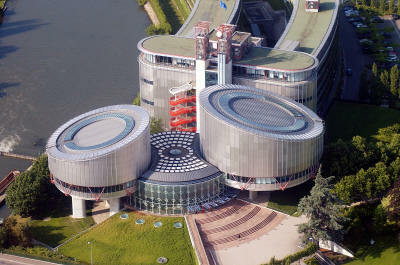 The article focuses upon the following two questions: What should be the approach of the Supreme Court of the United Kingdom to interpretations of the European Convention on Human Rights by the Strasbourg Court and what should be the approach of the Strasbourg Court to the decisions of the highest courts in member states? On the first question, the ‘mirror’ approach and criticisms of it are considered and examples are given of the Supreme Court following its own, rather than a pan-European, approach. On the second question, the view of the new president of the Strasbourg Court is welcomed. In the recent case of Vejdeland and others v Sweden the Court for the first time issued a ruling on offensive speech in relation to sexual orientation. The case centered on the conviction of four men who had entered a secondary school and circa 100 leaflets in and on lockers of the school's pupils. The leaflets, made by the organisation 'National Youth' were vehemently anti-homosexual. They criticised what they called 'homosexual propaganda', calling homosexuality a 'sexual deviance' which had a 'morally destructive effect on the substance of society'. They stated that the 'promiscuous' way of life of homosexuals was one of the main causes of HIV/AIDS and that homosexual organisations were trying to 'play down peadophilia'. The applicants were convicted in Sweden for agitation against a national or ethnic group. Under Swedish law this anti-hate speech provision in the criminal code also related to threats or expressions of contempt directed against people with allusion to their sexual orientation. The applicants lodged a complaint with the European Court of Human Rights arguing that the conviction violated their freedom of expression. 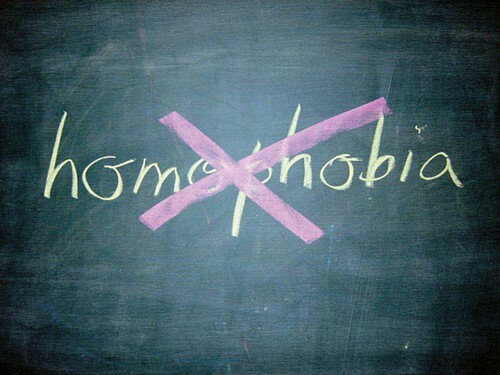 They contended that their leaflets did not insult homosexuals and that, moreover, they were not aimed at spreading hatred but rather at encouraging discussion in schools on the issue and providing pupils with arguments in that discussion. The European Court unanimously found no violation of the freedom of expression. Sweden had not overstepped the boundaries of the ECHR by combatting this form of hate speech. The Court accepted that the conviction constituted an interference with the freedom of expression under article 10 of the Convention, but that it had been lawful - the prohibition in the penal code being sufficiently clear and foreseeable - and had pursued the legitimate aim of protecting the 'reputation and rights of others'. On the latter point, the Court did not offer any further explanation - thereby not clarifying whether the impugned statements were potentially just hurtful to homosexuals or to society in general. This is a key point of principle in combating any form of hate speech. As often, the Court's main assessment focused on whether the interference had been 'necessary in a democratic society'. It answered this question in the affirmative. It is here that the Court had to walk a fine line in deciding whether the leaflets were merely to 'offend, shock or disturb' (but still allowed) or rather were inciting to hatred. A number of elements were decisive in the Court's reasoning. First, the wording of the statements themselves amounted to 'serious and prejudicial allegations'. Although the leaflets may not directly have urged people to commit hateful acts, the Court referred to earlier case-law (Féret v. Belgium) in which it had held that 'inciting to hatred does not necessarily entail a call for an act of viooence or other criminal acts.' In addition, the statement of principle that discrimination on the basis of sexual orientation is as serious as racial or ethnic discrmination was extended from a right to private life context (Smith and Grady v. United Kingdom) to freedom of expression issues. A second decisive element in the Court's argumentation was the targeted audience of the leaflets - in the Court's words 'young people who were at an impressionable and sensitive age'. Thirdly, the protected context: a school, which was not attended by any of the applicants and to which they did not have free access. Fourthly, the Supreme Court of Sweden had weighed relevant aspect itself, including the finding that the statements on the leaflets had been 'unnecessarily offensive'. Finally, the height of the sentences: suspended fines and, in one case, probation: the Court did not find these excessive. In conclusion, the court found no violation of article 10 ECHR. Although the judgment was unanimous, it apparently led to a lot of discussion in camera. no less than three different concurring opinions, by five judges in total, were added to the judgment. It shows the judicial and moral struggle the Court faced in deciding the case. As the above-mentioned contextual elements in the Cour't's balancing act show, the Court tried to make its reasoning as case-specific as it could, but it did not escape value-judgments in holding the leaflets to be unacceptable. Judges Spielmann and Nussberger point out that this would have necessitated stronger reasoning. For example, the Court should have assessed whether another aim was hidden behind the 'apparent aim' of initiating debate at school: an agenda to 'degrade, insult or incite hatred' against people on grounds of sexual orientation. 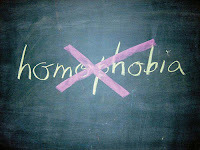 The judges point out that not only do members of the LGBT commmunity continue to face 'deeply rooted prejudices, hostility and widespread discrimination all over Europe', but also that 'homophobic and transphobic bullying in education settings' is a real problem that may justify restirctions on the freedom of expression. A different contextual analysis with more emphasis on the LGBT context and the educational context would have strengthened the Court's judgment. I agree. Judges Yudskivska and Villiger go even a step further and argue that these forms of hate speech are not a mere balancing exercise between the people who express views and the people targeted by these views. Considering that hate propaganda always inflicts harm, one should not wait for 'real and immediate danger' to start combatting them. They warn of a climate in which matters which are no longer unspeakable are also no loger undoable. Thus, countering these expressions are a matter for all society, not just for the targeted group. Leaving aside the contested argumentation on content, which indeed could have been more precise, the jugdment is still a very important milestone, both symbolically and in practice, in countering intolerance against people with different sexual orientations than the majority. See also the recent fact sheet on hate speech on the website of the Court, which already includes the Vejdeland case. Recommended as well are reports by the International Lesbian, Gay, Bisexual, Trans and Intersex Association, Interights (who also intervened in the case as a third party together with the International Commission of Jurists), and by colleague bloggers at Strasbourg Observers. 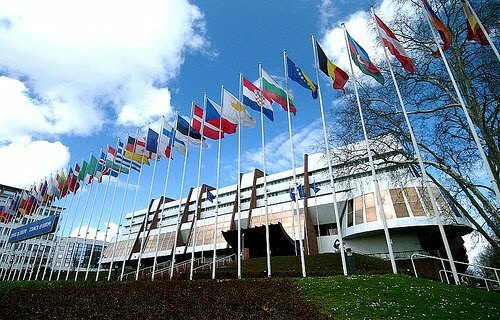 Two important documents of the Council of Europe's Steering Committee on Human Rights (CDDH), where much of the preparations for reforms happen, have been put online. The first are 'Draft Committee of Ministers’ Guidelines on the selection of candidates for the post of judge at the European Court of Human Rights' accompanied by an Explanatory Memorandum. These contain detailed requirements on the selection process on the national level of candidates to the European Court of Human Rights. This is meant to enhance the transparency and quality of the selection process. Later on in the year, the Committee of Ministers will probably adopt these guidelines. In this paper, I propose a hybrid constructivist-rationalist theory of compliance with the judgments of the European Court of Human Rights (ECtHR) and investigate its validity both quantitatively and qualitatively, based on a comprehensive database on the compliance status of all ECtHR judgments rendered up until 2010. While much research on state compliance with normative obligations has remained wedded either to a constructivist, norm-based perspective or to a rationalist analytic lens that foregrounds actor preferences and cost-benefit calculations, a fully specified model of compliance has to allow for the simultaneous operation of the logics of appropriateness and of consequences. Specifically, I argue that the question whether to comply with a judgment needs to be separated analytically from the question of how to comply. In the context of European liberal democracies, the first question is best answered by positing a normative compliance pull exerted by the judgments of a duly constituted court, even one operating beyond the boundaries of the state. At the same time, norms as well as the judgments that interpret and apply them frequently retain an element of indeterminacy that provides states with alternatives as to how to comply with a given judgment. In light of such a choice space, and given an assumed preference for the status quo ante, governments will tend to choose those institutional and interpretive options that minimize - materially and normatively - the domestic impact of an adverse judgment and will, as a result, in most cases choose narrow or otherwise restrictive compliance. 16.00 – 16.10 Introduction by Dr. Martyn Bond, Visiting Professor of European Politics and Policy at Royal Holloway, University of London, author of The Council of Europe: Structure, History, Issues, and UK Press Correspondent for the Council of Europe. Accession of the EU to the ECHR: what it will mean for Human Rights in Europe. What Reforms of the Court are really needed? 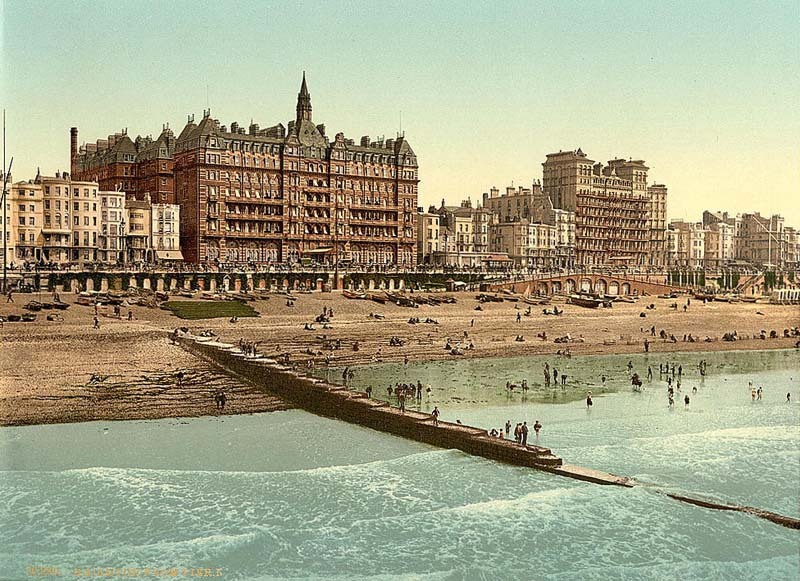 After Reform: what future for the Council of Europe and the Court? One can register at the following email address: martyn.bond at info-europe.demon.co.uk – preferably before 20 February – to reserve a place as space is limited. The US Department of State and George Washington University Law School are jointly organising a high-level conference in which several US Supreme Court justices will speak and discuss with several European Court of Human Rights Judges. The conference is entitled 'Judicial Process and the Protection of Rights: The US Supreme Court and the European Court of Human Rights' and will take place from 29 February to 2 March. From the Supreme Court Justices Samuel Alito, Stephen Breyer, Anthony Kennedy and Sonia Sotomayor will join and from the European Court (current and former) judges Bratza, Costa, Vajic, Tulkens and Garlicki. In addition the European Court's registrar and deputy registrar and several eminent European and American academics will be there. Please see the official announcement and programme here. See an article on the conference here. I did not link to them yet, but at the opening of the judicial year in Strasbourg both the Court's President, Sir Nicolas Bratza, and the Commissioner for Human Rights of the Council of Europe, Thomas Hammarberg, both delivered speeches. The temptation is to be inward-looking and defensive, for States as well as individuals. Human rights, the rule of law, justice seem to slip further down the political agenda as Governments look for quick solutions or simply find themselves faced with difficult choices as funds become scarce. It is in times like these that democratic society is tested. In this climate we must remember that human rights are not a luxury. I do not expect Governments to agree with all the Court’s judgments and decisions and they are naturally free to express that disagreement. Where they feel the need to do so, I would urge them to use terms which do not undermine the independence and authority of the Court and which seek to rely on reasoned argument rather than emotion and exaggeration. Democracy cannot function effectively without the rule of law; there can be no rule of law without respect for an independent judiciary, and that is true at European as well as domestic level. However, everything that I have learned has made me believe that there are some features of the system which definitely must be protected through the reform process. One is the possibility of individual petition. Another is the principle of collective guarantee. A third one is the notion of the Convention as a “living instrument”, allowing the Court to make dynamic interpretations of the rights set forth in the Convention. I do consider that the Court on the whole has handled this challenge in a proper manner. 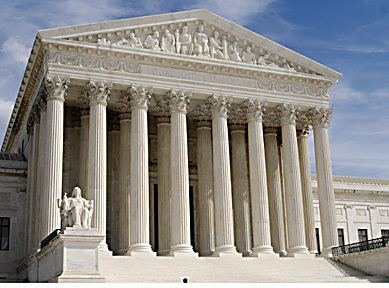 Criticisms about “judicial activism” or arbitrariness have really not been fair. The approach has been serious. The judges have not introduced just personal ideas; they explore whether there is a consensus on such cases in the superior courts in the member states; they analyse decisions of other international jurisdictions; and they take into account, when relevant, treaty developments in the UN. It must be stressed that the problem is not that people complain, but that many of them have reasons to do so. At the same occasion a seminar was also held on “How to ensure greater involvement of national courts in the Convention system?”. A webcast of that seminar can be watched here. There you can also find the speeches delivered. Again, a number of new academic publications relating to the European Convention on Human Rights and the Court in Strasbourg. For a fuller overview of recent articles on human rights, from which this is just an ECHR-related excerpt, please consult the very useful monthly Online Contents, compiled by my documentation colleagues here at the Netherlands Institute of Human Rights (SIM). * G. van der Schyff and A. Overbeeke, ‘Exercising religious freedom in the public space: a comparative and European Convention analysis of general burqa bans’, European Constitutional Law Review, vol. 7, no. 3 (2011) pp. 424-452. * C. Ryngaert, ‘The European Court of Human Rights' approach to the responsibility of member states in connection with acts of international organisations’, International and Comparative Law Quarterly, vol. 6, no. 4 (2011) pp. 997-1016. * S. Besson, ‘Evolutions in non-discrimination law within the ECHR and the ESC systems: it takes two to tango in the Council of Europe’, American Journal of Comparative Law, vol. 60, no. 1 (2012) pp. 147-180. * European Court of Human Rights: M.S.S. v. Belgium & Greece, introductory note by Patricia Mallia, vol. 50, no. 3 (2011) pp. 364-439. * European Court of Human Rights: Lautsi & others v. Italy, introductory note by Christiane Bourloyannis-Vrailas, vol. 50, no. 5 (2011) pp. 894-927.